Left main coronary artery involvement in seen in 3-5% of STEMI. 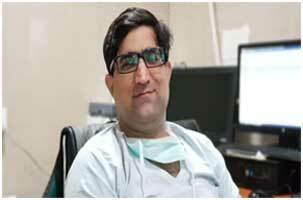 Most of the times course of these patients is catastrophic. Majority of these Patients need surgical intervention (CABG) urgently, but in some selective cases, we can tackle these lesions by distal LM- Bifurcation stenting. 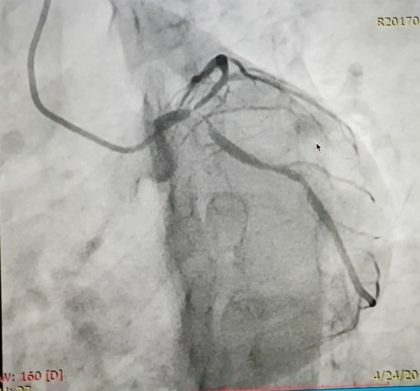 The decision to do PTCA is favored if it is isolated ostial left main disease.If disease involves distal left main then the better choice is CABG.In this case young male had AWMI, his angiogram showed distal LM (1,1,1).Syntax score was calculated, it was 12, LVEF (Left ventricle Ejection Fraction) was around 50 %, non-calcified lesions. The patient had ongoing chest pain. CABG couldn’t be done immediately. Thus considering all these circumstances and favorable anatomy for PTCA, we decided to go for dedicated Left main bifurcation stenting even in the setting of MI. 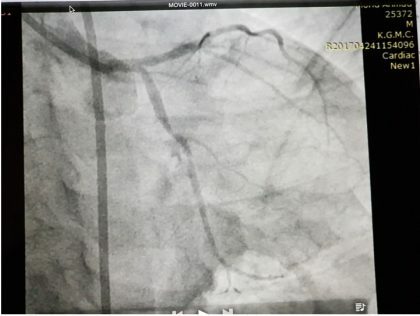 Technically doing Left main intervention is considered challenging.But at experienced center, excellent results can be obtained.In this case, we decided to go for dedicated two-stent strategy i.e. 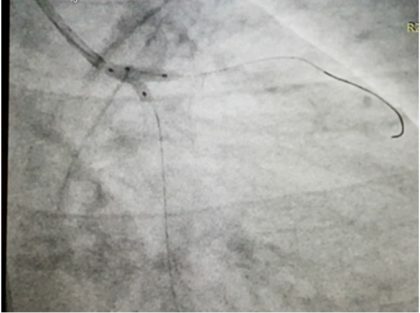 mini-crush stenting technique.Both LAD and LCX were wired with Fielder FC wires.Both lesions were Predicated.DES 3×18 mm was implanted in LCX.After that wire and balloon were withdrawn from LCX.DES 3×30 mm was implanted in LAD.LCX was rewired with Fielder FC wire from LAD.LCX Ostia was dilated with 2×10 mm balloon. The final kissing balloon was done with non-compliant Balloon.TIMI 3 flow was obtained. In this particular case factors that tilted the decision to go for PTCA rather than CABG were young age, non-calcified disease, Syntax score of 12, normal ejection fraction, non-diabetic status.Thus not all cases of left main coronary artery disease need CABG.Cases with above factors with low syntax score can be dealt with PTCA. The result was rewarding distal LM dedicated mini-crush stenting is a feasible option even in the setting of MI. The author, Dr Gaurav Chaudhary is an Interventional Cardiologist and Assistant Professor, Department of Cardiology, King George’s Medical University, Lucknow. He is presenting a Case on -A Challenging Case of Distal Left Main Minicrush Bifurcation Stenting in the setting of MI in a young male at India live 2018.